A few years ago, when Anthem was first announced at E3 2017 I fell in love with this awesome-looking game with realistic graphics, unique facial animations, flight, an Ironman suit, and great ultimate missile barrages. I knew I wanted to play that game. It was [gaming] love at first sight. 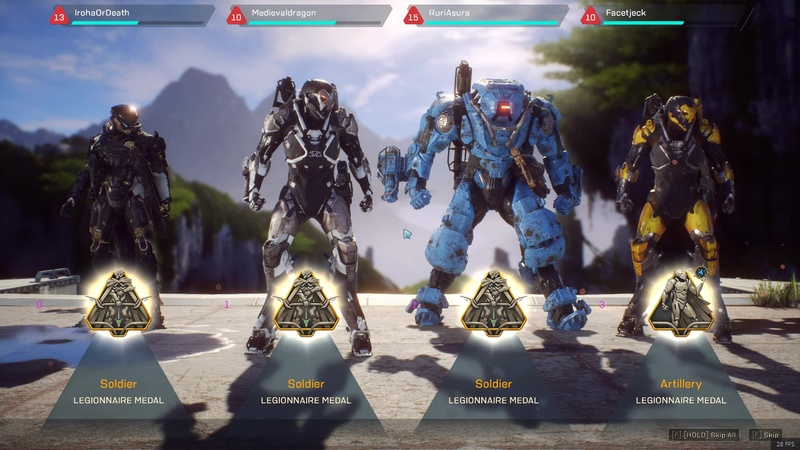 I played the Anthem Alpha test, but I won’t talk about any of my experience playing that here. You will read my Anthem VIP demo first impressions, wholly. Before I get there, I have to vent some of what affected other players who shared the same enthusiasm. Oh noes … Error 33! Blizzard Entertainment has had its share of launch hiccups in the past. I was there when World of Warcraft (2004) launched. This was Blizzard’s first MMO, and they were not expecting the avalanche of players login into the game. It took time, but they adapted, added more servers. Over the years, the World of Warcraft expansion launch dates got better server and authentication stability. The Diablo III launch was a terrible experience. Everyone knows what Error 33 is. Eventually, that got better. EA is a veteran on these type of MMO game launches, and one would assume they had learned from past launches, but by saying via Tweet they would add more servers, gives me the impression they didn’t think they would have that many players login in. I mean… this was not a Alpha testing. This was not a Beta server stress test either. This was the Anthem VIP Demo. That didn’t felt VIP to me. You pre-paid for the game. Got access to the Demo. You go in expecting it to feel like the launched game: stable and an advance taste of what to expect on launch date. This is what VIP demo players experienced for nearly 5 hours: either server connection errors (some players couldn’t even enter the game at all); and the lucky players who did get into the game would shortly get stuck at loading screens at 95% and stay there in a loop that never reached 100%. The only way out of the game was to force the Task Manager and end the Anthem process. The game became more or less playable nearly at 5pm, when the login issue was resolved. But the 95% loading screen issue persisted throughout the evening. I had to end the Anthem process task dozens of times to reset the loading screen issue after mounting a javelin to start a new mission. Will this be a taste of what will happen in the February launch? Hard to tell. But it is disconcerting and worrysome. Some players already expect game launches to be problematic, so that might not be a reason to cancel Anthem. 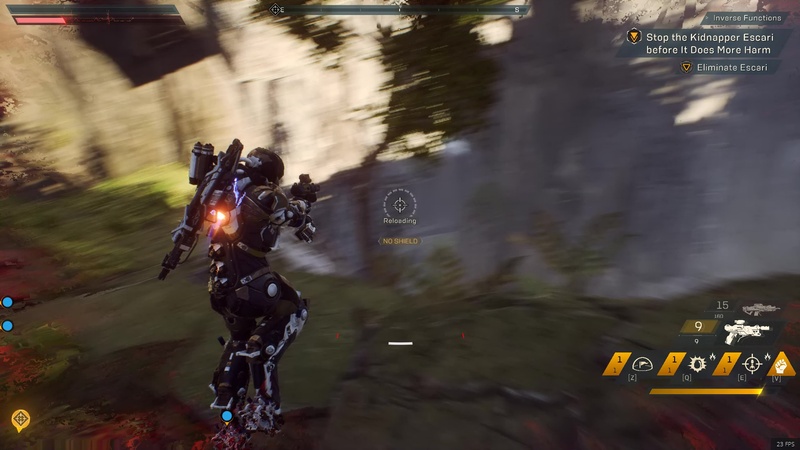 Like any Diablo RNG clone, you kill hordes of enemies to loot gear and materials in Anthem. However, it is awkward when Diablo meets third-person-shooter games. I come from playing Tomb Raider in the late 90s, Doom, one of the ancient 3D Star Trek multiplayers, Farcry, Crysis, Crysis 2, Crysis 3, Half Life 2: Deathmatch, and other FPS games I have forgotten over the years. Then I met Destiny 2. The solo level up gameplay experience in Destiny 2, as a casual gamer, caught my attention. It felt good using different weapons, and shooting at waves of mobs, until I reached the max possible item level as a solo player and then moved on to team-based Strikes (dungeons). If you have played any of the Crysis games, or other FPS, you pay for the boxed game’s single-player, have fun with it until you reach the last boss. You enjoy playing it a few times afterwards here and there, probably not everyday, and then you call it a day. Worth the $60 bucks for the single-player experience. For the initial single-player and team-based dungeon gameplay experience, I could say that paying for Destiny 2 and the Osiris expansion were pretty good. It was enjoyable while the fun lasted. Raiding killed Destiny 2 for me. I tried 2 raids in one night. It was a fun killer. Gave me a headache for the remainder of the evening. Never played Destiny 2 after that. Can I say that playing the Anthem single-player story progression be worth the $60-ish price? 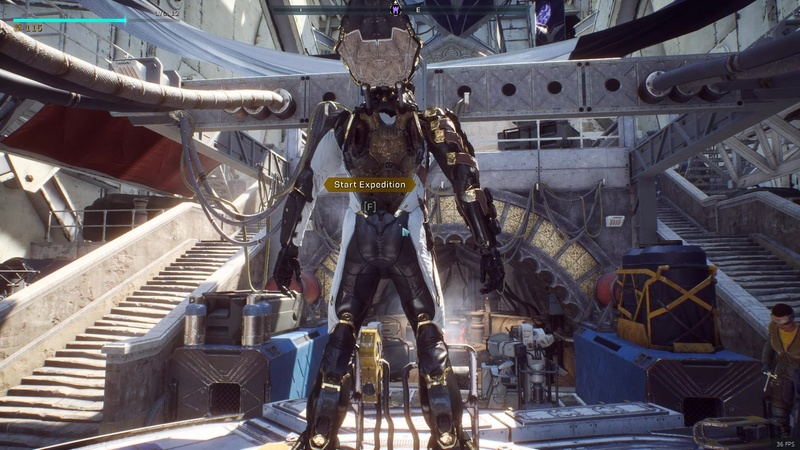 I don’t know yet as the live game hasn’t been launched, but I can tell you what my experience was playing the Anthem VIP demo which had a small portion of RPG story when you are at Fort Tarsis. Like Destiny 2, Anthem is a “multiplayer-shooter-meets-Diablo-III” game. 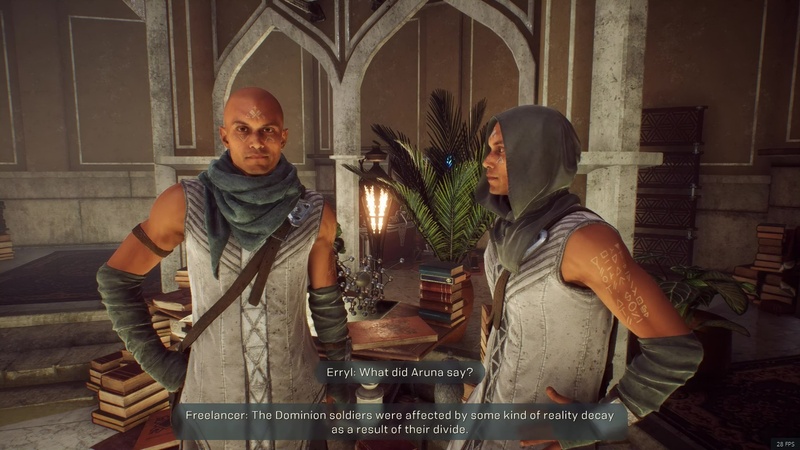 But Anthem is missing some important elements from other games. For example, there is no general chat. There is no text chat at all. You can only communicate via Microphone (voice chat). I have a microphone, but I am not the chatty type. I prefer text chat. In Anthem, you start at Fort Tarsis. The first thing you notice is that you can’t walk faster using Sprint. You are forced to walk snail steps while in the city. Mostly for the eye-candy factor, but that eye-candy even at a snail pace, only gave me about 27fps. Why do I need to crawl my way through the city with motion blur effects is mind-boggling. Every time you are teleported back to Fort Tarsis, you spawn at the same spot… far away from the Javelin and the Forge. So you are forced every single time to walk the entire path back to the Javelin. That task alone takes 30 seconds. You spawn at this Fort Tarsis spot always. 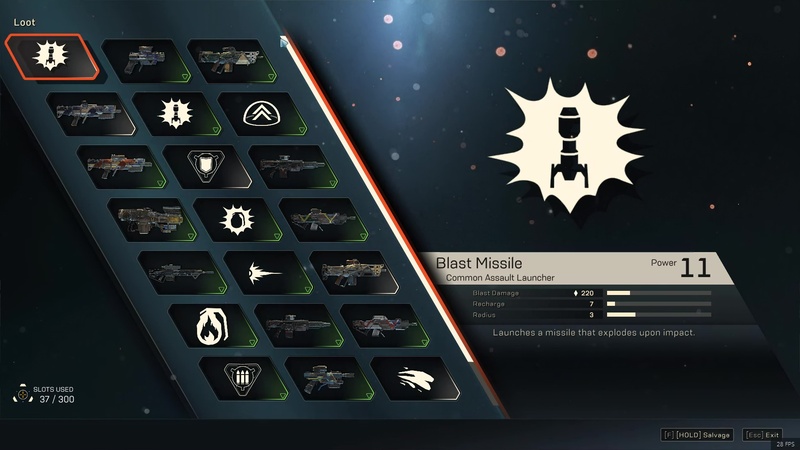 All missions, dungeons, or whatever gameplay modes Anthem ends up having at launch… require you mounting the Javelin to access the mission selection, modes, etc. In Destiny 2, all you have to do is press the ESC button anywhere you are in the city or in the open world to jump to another planet or to select your next adventure or destination. 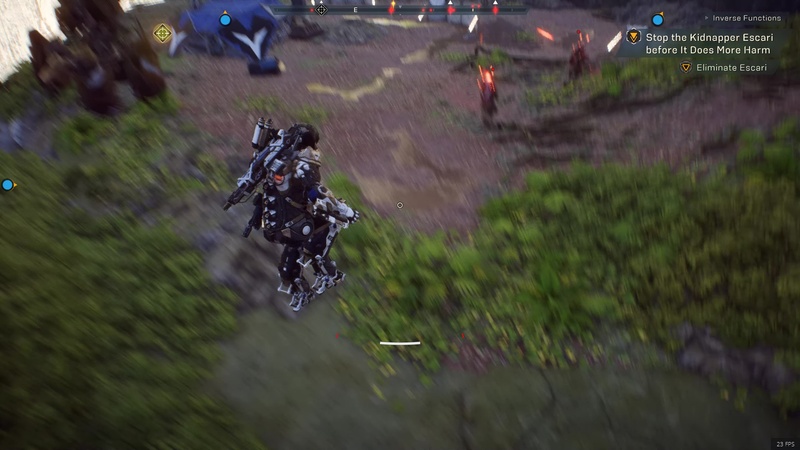 Why do I have to crawl my way through the same path at snail speed for 30 seconds until I reach the javelin to accomplish the same task in Anthem? The second thing I noticed at Fort Tarsis is the lack of a label that tells me where I am. 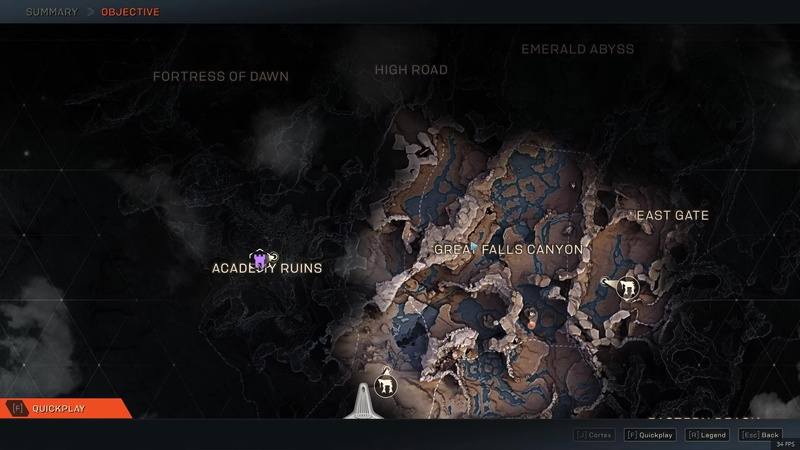 It doesn’t say Fort Tarsis anywhere onscreen. If you open the map inside Fort Tarsis… the map of the city doesn’t even say “Fort Tarsis” anywhere. So, naturally when I mounted the Javelin and opened the mission map, and hovered my mouse over a tall building — I had no idea that I was in Fort Tarsis. Wait… where am I? No location anywhere onscreen. Destiny 2, World of Warcraft, and Diablo III… all have a mini-map. If you open the map, and see your objective marker, you know you have to go to the north, then turn left or right at the crossroad. In Anthem? There is no mini-map. There is only a horizontal compass at the top — which I have not been able to get used to. If I open the map and see the destination, as soon as I close the map I am disoriented where is North or South, or West or East. I have to open the map constantly. In any of the RPG games mentioned here, if I open the map, I know where to go. I recognize the landmarks, or familiarize with the unique graphics to navigate my way — especially in World of Warcraft where you can fly and there can be layers: how do you know where to go in Blackrock Mountain? Outdoors by the Blackwing terrace? Or Upper Blackrock Spire? Or the inner bridge area? Or the barracks to go to the Cataclysm dungeon? Or Lower Blackrock Mountain? The mini-map and the map help you fly to any of these destinations. 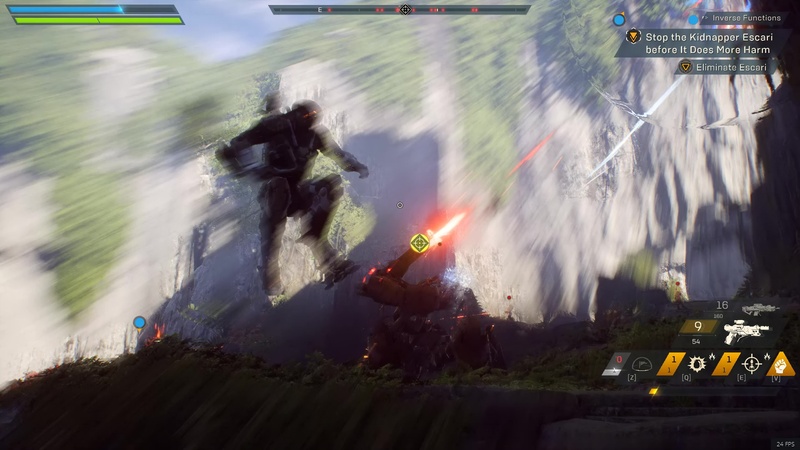 In Anthem… you are kinda lost while flying. That brings me to another reason to dislike Anthem. What enamored me of the Anthem trailer a few years ago was the flying like Ironman. Well, there goes that down the drain. You can only fly for a limited time because the engineers who built the Javelin couldn’t invent an engine cooler. Your Javelin’s engine overheats and when the bar reaches full red, you plummet to the ground in not such an elegant manner right into the thick of hordes of enemies that you didn’t know were 300 feet below you (if you are unlucky). Flight is a bit clunky and hefty to maneuver as well. You point left briefly, and it wants to go too far left causing you to clash against a cliff or wall and you plummet down several feet to the ground. The very reason that enamored me about Anthem is now a sore disappointment. Going underwater is even worse. It’s difficult to maneuver your javelin. Moving in any direction makes the Javelin go crazy, and you can feel some sort of artificial gravity underwater that adds realism, but makes maneuvering the javelin impractical and a hassle. Another thing that bugged me. For a shooter, I keep running out of ammo during intense fights. When it is crowded, and you are low health, there is a chance you might not be able to loot more ammo. In my first mission, part of the level up story progression, I was matched with 3 other players. The objectives appeared onscreen as a voice over guided us on what to do next. Instead of a mini-map, I could see diamond markers drawing the path toward the mission objective’s destination. So I followed the diamond markers, and so far so good… until the marker led to a tunnel or cave. Slap in the face… my flight is interrupted without any warning. Is this a dungeon? There was no swirling portal like in World of Warcraft, I thought to myself. A loading screen showed up. Waited a few seconds, and then my character spawned. I was still in the tunnel, and new diamond markers showed me the path to where the mission objective was. We completed the objective, and followed the new diamond markers to get to the next mission objective. So naturally, we went back the way we came from… and again… the loading screen to exit into the open world. The next mission objective led to another underground tunnel… and splat… into another loading screen. Here I thought to myself, wait… this is starting to feel familiar. This is like world quests… except there is no seemless sharding/phasing transition. It is gated by loading screens. Hell no… this is Hellgate: London!!! I got really pissed off. If you were lucky (or should I say unlucky) to have played Hellgate: London beta, every time you progressed into a new location in the outside world or within a train station, there was a loading screen. 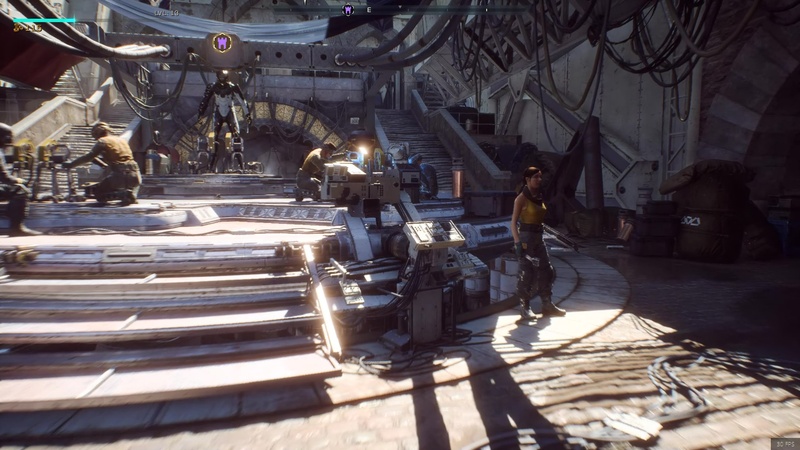 In Anthem, there are portions of the world that were open to fly and navigate, but other areas required a forced and not visually expected loading screen (cough, lack of a swirling portal) . Another thing that might be awkward is that when you create a character for the first time, you don’t have the choice to pick a Class. In Diablo III, World of Warcraft, and Destiny 2 you are able to pick a class. 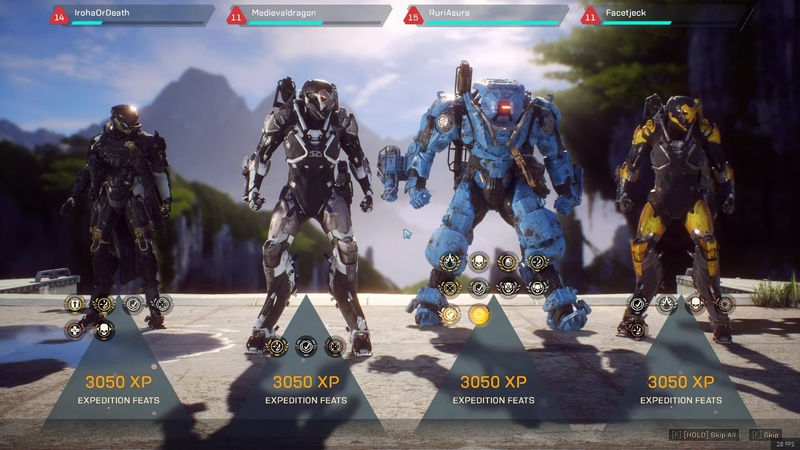 In Anthem, the character you create can switch between one of the four Javelins: Ranger, Colossus, Storm (Elemental warlock? ), or Interceptor (rogue?). You can switch to any of them at the Forge where you can create new loadouts for each Javelin class. It is awkward in that you have to learn and master each of them, and you lose what makes each class in other RPG/MMORPG games unique: their story, their personality, and their identity. Each Javelin is unique only in terms of their Ultimate which has a pretty long recharge time. Kinda pointless to choose any of the four Javelins if all they do is just shoot the same rifle or gun, with the ocassional big explosion ability. Destiny 2 has the same problem in this department. Of course, Anthem and Destiny 2 are not World of Warcraft, or Destiny 2, or Diablo III, or even Heroes of the Storm — where there is a short cooldown for spells and abilities; but where is the fun in not using your javelin’s abilities often? That takes me to another problem in Anthem. When you do manage to have that Ultimate recharge available, and unleash it… it takes the whole screen with flashy explosions. The other three players get sorta blinded by the huge explosions taking the entire screen. For a second or two, it is difficult to aim at enemies or to be able to know where they are. Lot of ammo lost shooting blind. I played one of the Expedition mode games, which feel like a special event where multiple waves of enemies spawn at intervals of time, then a few elite bosses spawn. It felt like Destiny 2’s open world adventures and patrols, but only 4 players via matchmaking queue. At the end of the Expedition mode, you get a loading screen that lasts approximately 33 seconds, then the scoreboard screen appears onscreen… except it has no scoreboard stats: like how many enemies each player killed. Instead, it shows Experience earned, you see some of the four players leveling up, earning bonus XP, or medals for completing the Expedition. At least you can skip by pressing [F]. What bothered me about the expeditions is that as soon as the last enemy is killed, you get maybe 5 seconds to fly or run to collect the loot on the ground. Most of the time I was not able to reach the loot on the ground in time… and I got auto-pulled into the scoreboard screen. No idea if the loot in the ground was lost forever, or if magically it was added into my Expedition rewards. Overall, playing Anthem 8 hours straight was “kinda” nice in some ways, but how long will the eye-candy factor of the realistic graphics and the shooting gameplay experience outweigh the core gameplay issues affecting Anthem? Personally, the motion blur sickened me after a few hours of gameplay. Your brain feels the motion abuse after a while. Even if you turn off the motion blur settings, some times motion blur is forced. Add to that the unnecessary weapon recoil. This is a mechanical suit. Why does it have to recoil in the first place? Most of the time I miss shots because the weapon is recoiling upwards and causing drastic motion blur. Sometimes the recoil is so potent the camera goes up, 90 degrees, violently. To me the multiple loading screens, excessive motion blur, and weapon recoil were a Anthem killer. Reviving the Hellgate: London experience in a multiplayer setting is too much for me… and there is no way for the Bioware developers to change that at this point. The game was designed this way (to have loading screens) from the core. 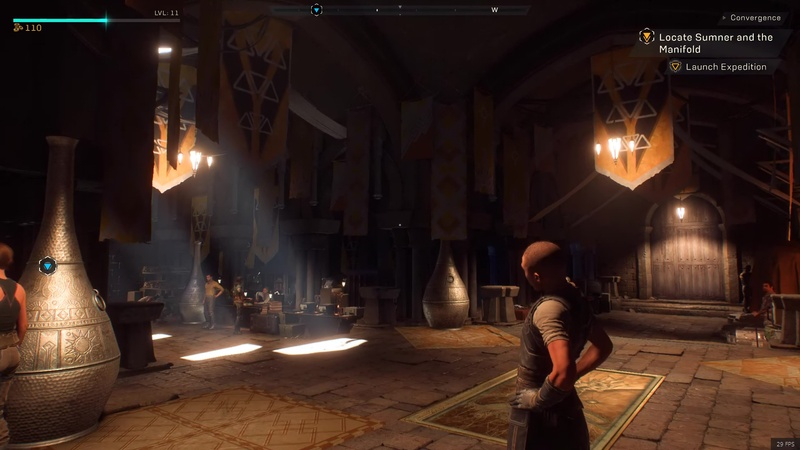 After all, Project Dylan (aka Anthem) started development back in 2012. Multiple loading screens, the motion blur and the excessive weapon recoil which forces bad aim accuracy tarnished the gameplay experience for me. 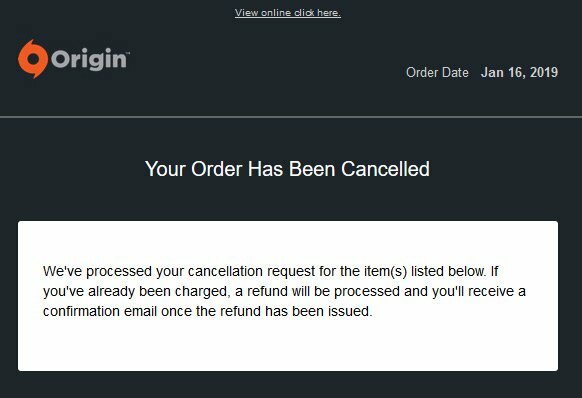 For that reason alone, I decided to cancel my pre-order. Then select: “Cancel Pre-order.” Wait up to 30-60 minutes for an advisor to contact you via Chat room after a pop up window opens in your browser. Some of these Anthem loading screens are forced. In Destiny 2, when you finish a Public Event in the open world, you can decide to go to another Public Event, Quest, Adventure, Lost Oasis, or Patrol in (say) Nessus — and it is entirely your choice whether you wish to leave Nessus and go to IO; or whether you wish to go back to The Last City (the main base city in Earth) or to The Farm. You have the choice of the loading screen. 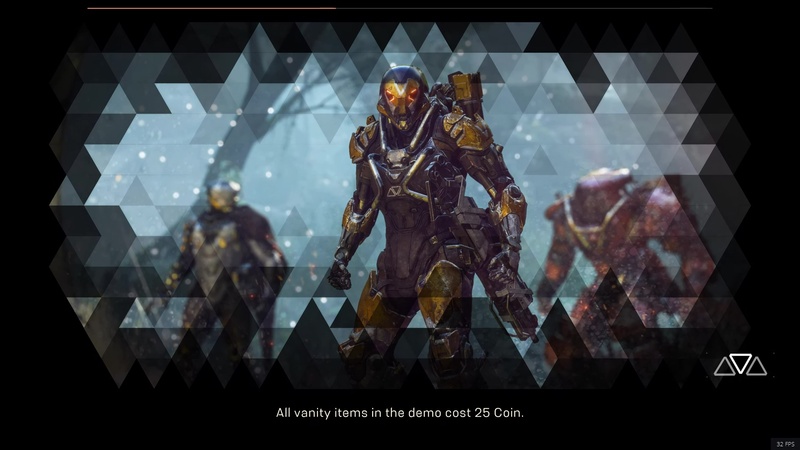 In Anthem, the loading screen is forced. Whether you like it or not. In World of Warcraft, you face a loading screen only in dungeons/raids/scenarios, or using city portals. Otherwise, you won’t see a loading screen if you are doing world quests in the open world. 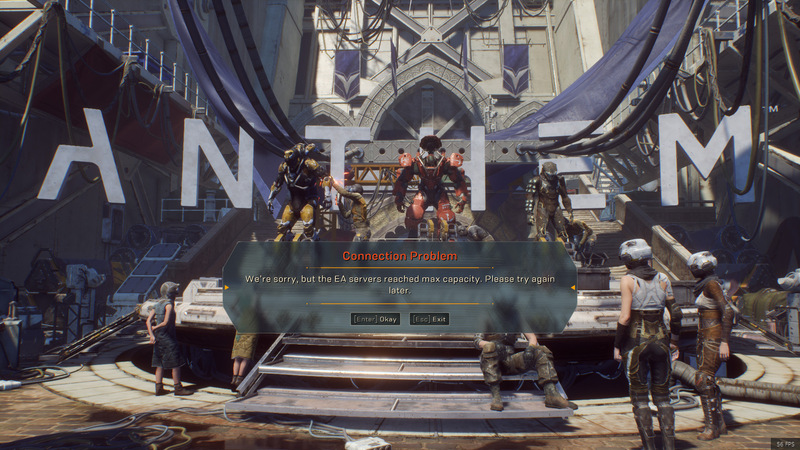 So, thank you Anthem, but there is a reason I stopped playing Hellgate: London. I hate endless loading screens. 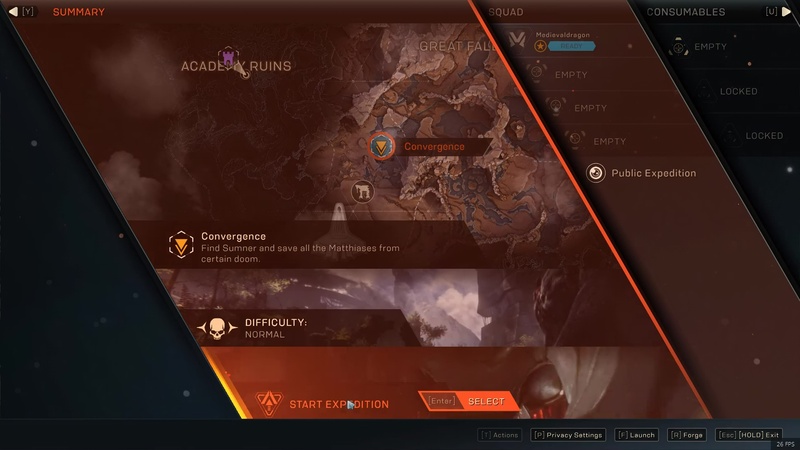 So much for the “vast open world” mentioned in the Anthem Official Gameplay Reveal back in 2017. Want to switch Javelins? Want to swap your weapons or wear the stuff you just looted? You can’t just press C for the character window to do that. Go back to Fort Tarsis through the loading screen to visit the Forge. Freeplay mode allows you to explore the world as much as you wish, but it didn’t feel immersive. No story. No quests or markers telling you where a quest is located in the map. Just exploration and killing anything that moves without purpose. No flashy world quests pop in the map. Don’t know if the live version will be that way, but the VIP demo should be a taste of the basics. So I have to judge Anthem likewise. After my disappointment with Destiny 2, I will rather save the $60 and wait until I see Anthem gameplay videos in Twitch or YouTube that show me the end-game features that justify ignoring the pain of enduring multiple loading screens. Now on to the juicy stuff. Here are some of my Anthem gameplay videos. The first video is missing audio due to OBS Studios forgetting my audio device settings.